HAVANA, CUBA, February 06, 2018 /24-7PressRelease/ — Casa Obispo 307 today announced it has been recognized as Top 25 B&Bs and Inns winner in the Caribbean category of the 2018 TripAdvisor Travelers’ Choice awards for Hotels, ranking 16 out of 25. Travelers’ Choice award winners were determined based on the millions of reviews and opinions collected in a single year from TripAdvisor travelers worldwide. In the 16th year of the awards, TripAdvisor has highlighted the world’s top 8,095 properties in 94 countries and 8 regions worldwide. “We are honored to be recognized by TripAdvisor as a Travelers’ Choice winner for 2018. We pride ourselves on providing the best beginning to end experience for our guests. It begins with our online booking system which gives customers confidence that they have a proper booking. Once in Havana, Leo and Milagro treat guests like family. Thank you to all of our guests who helped us achieve this incredible milestone!” said reservations manager, Mark Roxas. TripAdvisor, the world’s largest travel site**, enables travelers to unleash the full potential of every trip. With over 570 million reviews and opinions covering the world’s largest selection of travel listings worldwide — 7.3 million accommodations, airlines, attractions, and restaurants — TripAdvisor provides travelers with the wisdom of the crowds to help them decide where to stay, how to fly, what to do, and where to eat. TripAdvisor also compares prices from more than 200 hotel booking sites so travelers can find the lowest price on the hotel that’s right for them. TripAdvisor-branded sites are available in 49 markets, and are home to the world’s largest travel community of 455 million average monthly unique visitors*, all looking to get the most out of every trip. TripAdvisor: Know better. Book better. Go better. 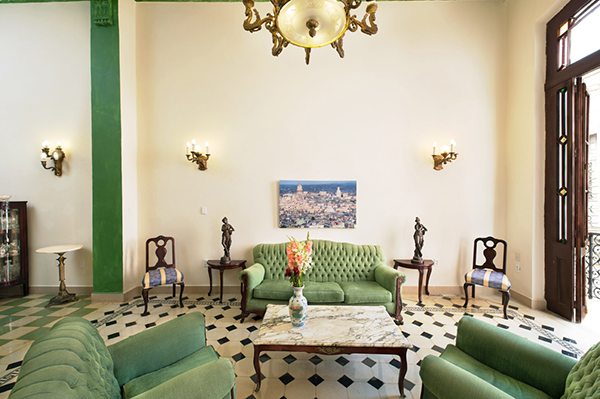 Casa Obispo 307 is a colonial style, four-room casa particular (B&B) located in Old Havana, Cuba. Guestrooms feature high ceilings, antique furniture, private bathrooms and air conditioning. Casa Obispo 307 is part of www.CasasAndCulture.com, a website that allows customers to instantly book select casa particulars in Cuba. For media inquiries or further information, please contact us at [email protected].